At Limo Tampa Bay, we've made our pricing as simple as a phone call! You won't find prices listed here, and that's because your rate depends on many different factors. We use this standard of pricing because it creates fair, affordable rates for everybody! We only need a few pieces of information to put together your quote, such as where you plan on going, how many passengers you're expecting, and when you will need service. If you have that information ready, you'll have a quote that you're sure to love in a matter of seconds. Anybody can afford a limousine or limo bus! Even the budget conscious can avoid high demand areas to get a low rate that's affordable. Another great way to is split the overal cost between all of the passengers. It's as easy as that! The best part is you're always getting what you've paid for, and more. 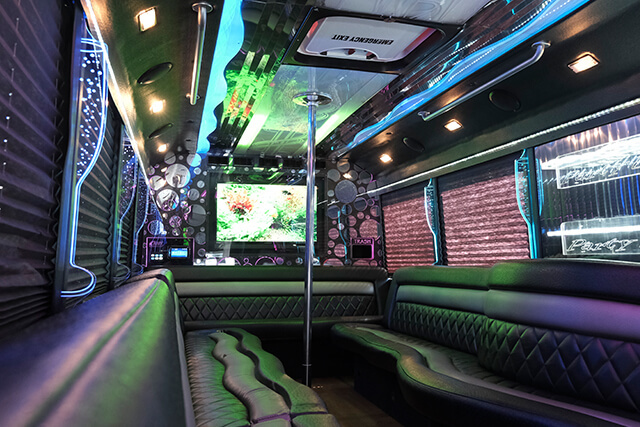 There's truly no better choice than Limo Tampa Bay!